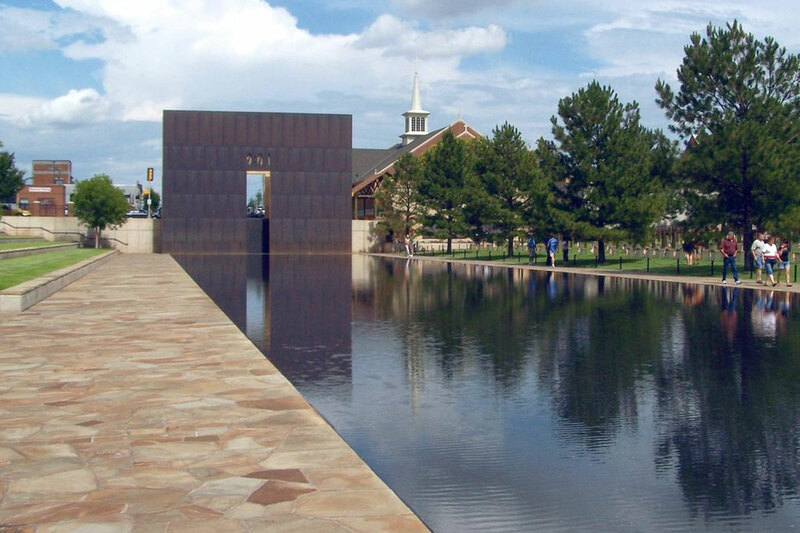 Delta Fountains manufactured and provided equipment for the reflecting pool at the Oklahoma City Memorial. 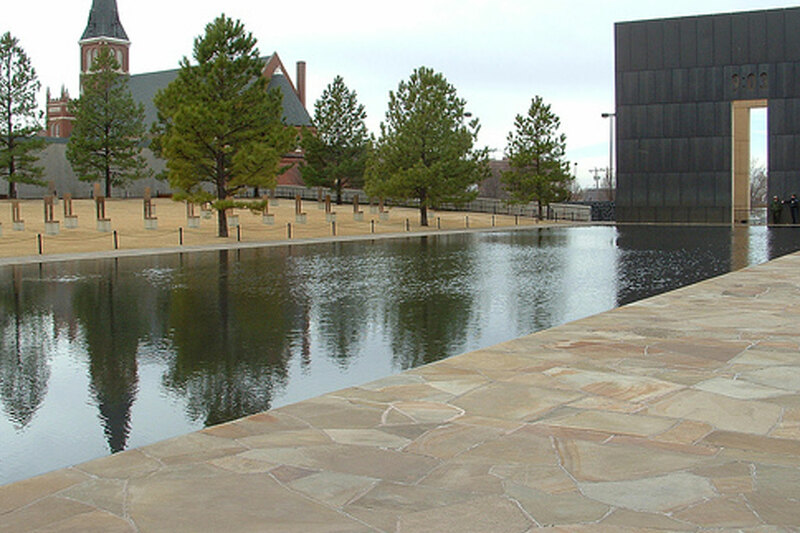 The Oklahoma City Memorial reflecting pool is the longest reflecting pool Delta Fountains has ever worked on. 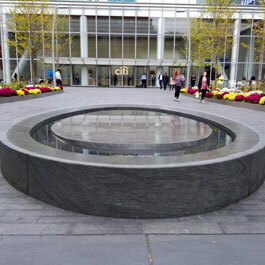 Even with the oversized reflecting pool, Delta Fountains was able to create a water flow pressure delicate enough to look undisturbed. 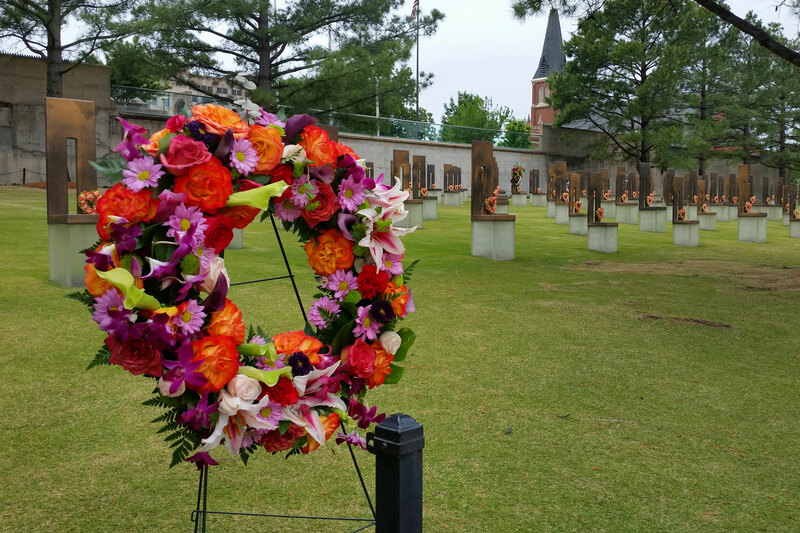 The grounds surrounding the Oklahoma City Memorial pool are lined with memorial chairs to represent the lives lost. 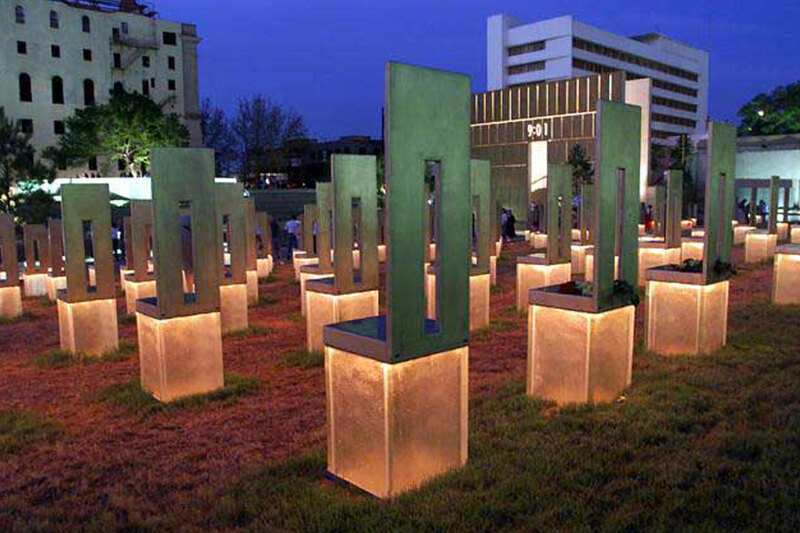 Each base is illuminated nightly. 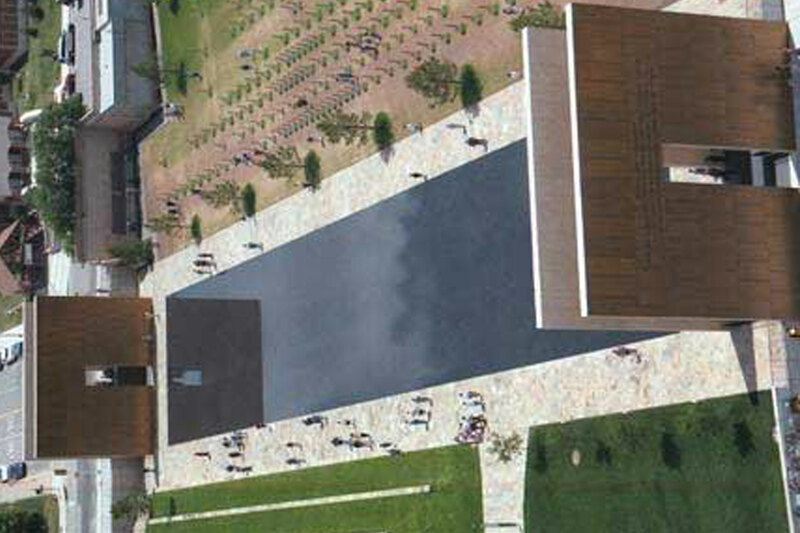 The Memorial was designed as a cohesive landscape and architectural project. 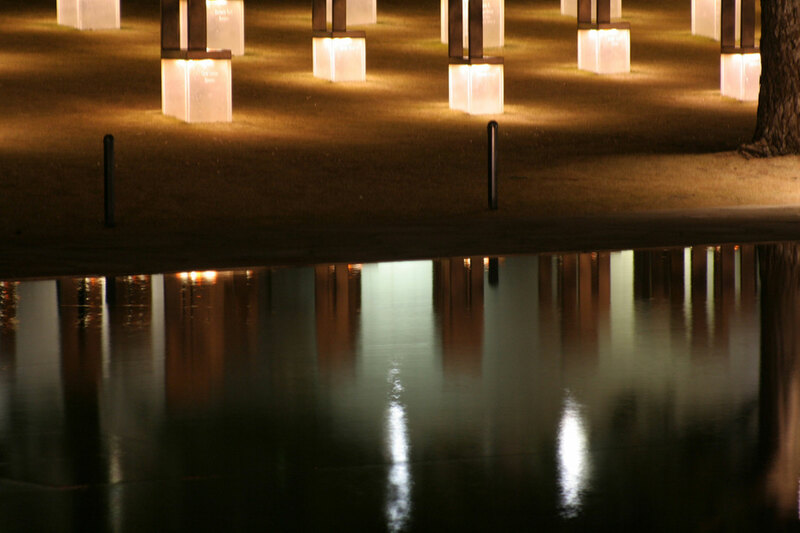 The stone structures at each end of the pool, memorial chairs, and even the include of the grass area were designed to create a reflective, memorial space that can be enjoyed from anywhere on the grounds. 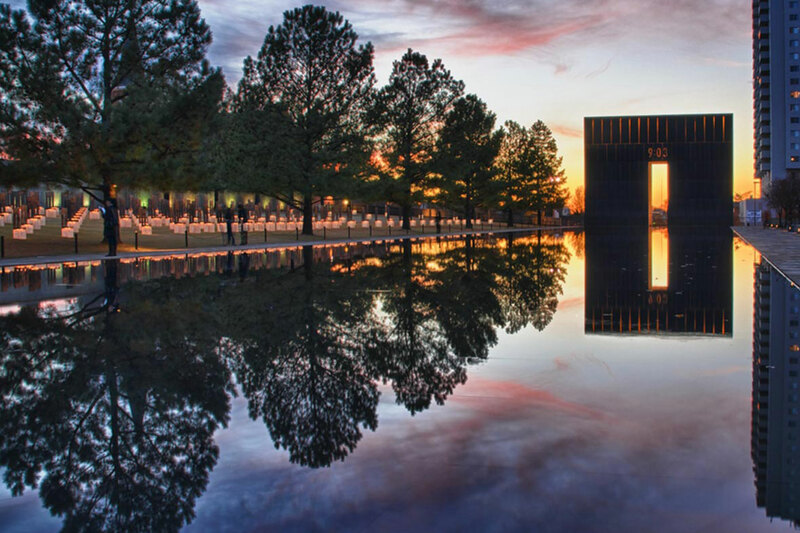 The Oklahoma City Memorial consists of a massive shallow pool with a mirror-like surface reflects the clouds, surrounding trees, and people as they walk along the grounds, built to honor the 168 lives that were lost on April 19, 1995, at the Alfred P. Murrah Federal Building. 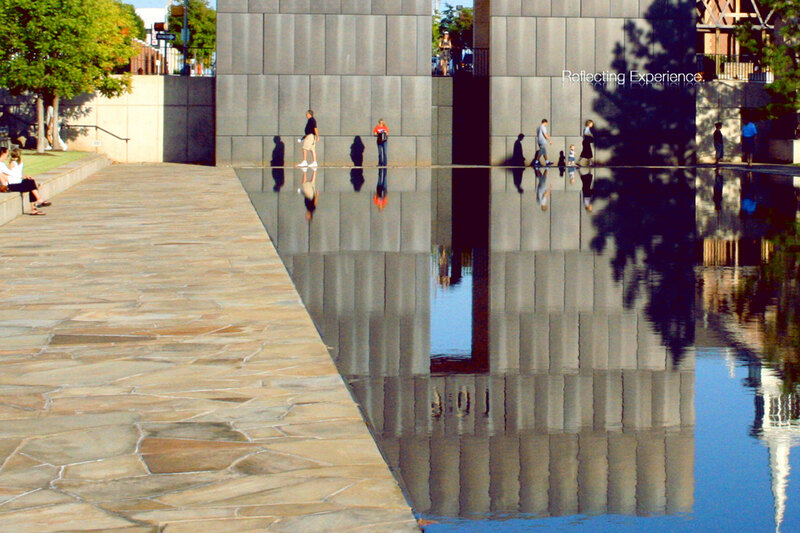 Visitors walking along the water are said to see the reflection of “someone changed forever by their visit to the Memorial.” Delta Fountains was called in to act as the fountain consultant and manufacturer in order to create this Memorial. 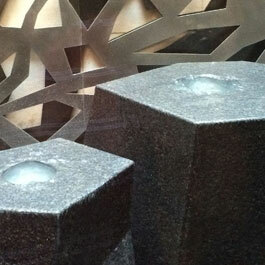 To achieve the fountain designer’s intent of a tranquil reflecting pool, Delta Fountains had to juggle two opposing forces: the need to pump a large volume of water quickly to meet re-circulation requirements versus the desire for the water to appear as if it weren’t moving at all. 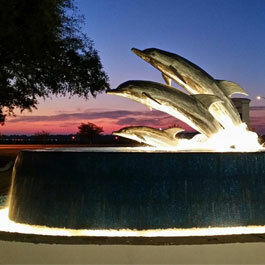 In addition, Delta Fountains had to engineer a sustained balance in the water chemistry despite the pool’s massive surface-level exposure to the environment. Added challenges included a smaller-than-desired footprint for the equipment room and a non-negotiable completion date. 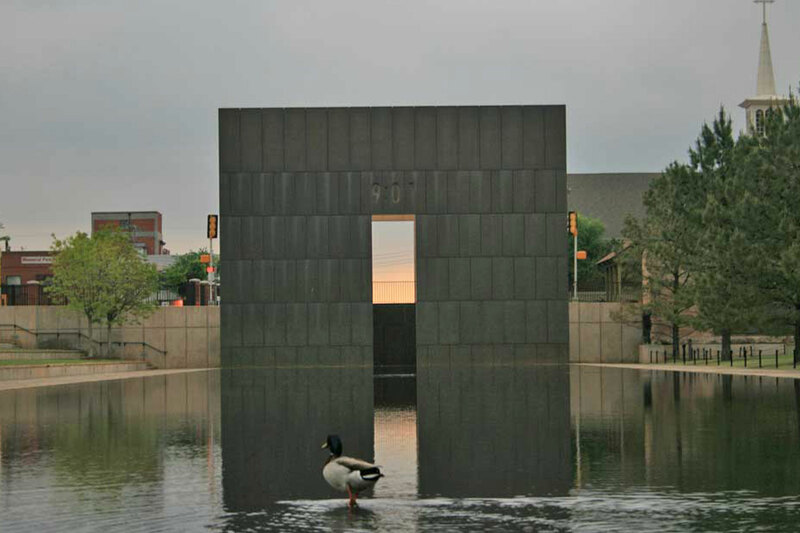 To create the Memorial’s needed solutions, Delta Fountains incorporated many cutting-edge features into the reflecting pool. Though the minimum pumping rate was fast-engineered at 8,500 gallons per minute-a specially designed hidden basin was the key to the tranquil, glassy look of the pool surface. 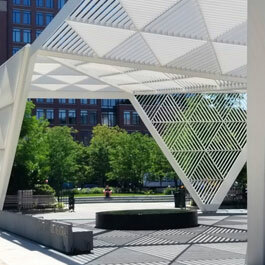 Delta Fountains also engineered the electrical and mechanical design for the water flow and provided custom equipment to allow advanced control of the water chemistry. An automatic bag filter system reduced the needed footprint and allowed for automatic, continuous filtration at high speed with low water usage.